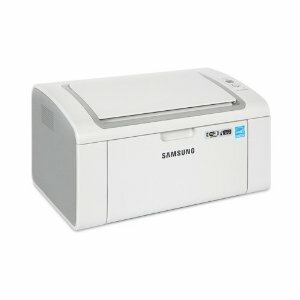 Printer Comparison has tested a compact monochrome laser printer from Samsung called Samsung ML-2165w. The laser printer is able to print up to 21 pages per minute, or so Samsung claims. Let us hear what the reviewer thinks about this small printer. Printer Comparison ends up giving the ML-2165w an overall score of 4 out of 5 possible stars. The Samsung printer gets almost top score on print quality, performance and print speeds, a little lower score on ease of use, operational costs and features, while it scores lowest on service and support. If you need a device that can only do one thing: make laser prints in monochrome, this printer might be your choice. Read the full review of the Samsung ML-2165w compact wireless printer here.